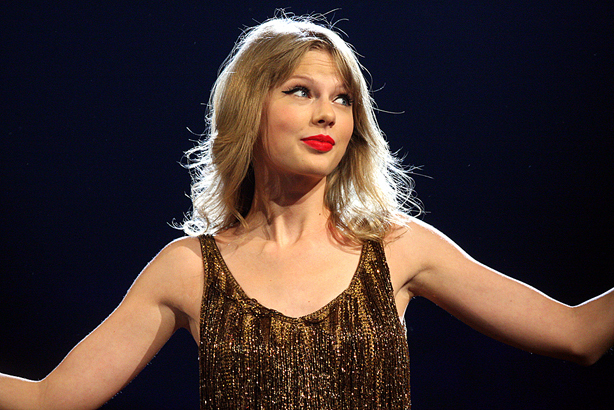 Is Taylor Swift the best person at PR, like, ever? Another day, another PR triumph for pop star Taylor Swift. By the simple expedient of writing a cheque to help a fan pay off her student loans, Swift has again secured wall-to-wall coverage around the world. Oh, and the fact that the cheque was for the deeply meaningful sum of $1,989 (1989 – geddit?) does no harm. It comes at a time when Swift seemingly cannot put a foot wrong in publicity terms. Even her ‘controversial’ move to remove her songs from Spotify got her into the FT, and she has graced newspapers and magazines not usually associated with ‘lightweight’ pop stars. Us PRs would do well to study the Taylor Swift PR masterclass: she has a lot to teach corporations as well as other individuals about the way to secure abundant, positive, coverage. There are three key elements to Swift’s PR success. First, she is the master of engagement. So many stars, and companies, simply broadcast news to their followers, fans and customers. Swift is relentless in genuinely engaging fans. Tumblr and Instagram are her natural homes, but she roams across Facebook and YouTube, responding to fans directly. She goes further, sending some of them presents as part of ‘Swiftmas’ or inviting them into her home for a sneak preview of the new album. All of this generates additional column inches, hugely amplifying the coverage she receives in the first place. Second, she recognises that her fans are everywhere and she needs to be too. Securing the cover of Time magazine was a coup this year, but the sheer breadth of her coverage in the past couple of years has been breathtaking. Around the launch of the '1989' album she was everywhere: online, in magazines, tabloids and broadsheets, and on broadcast media. Finally, she understands that this is an ‘always on’ world. She knows that putting across contradictory images of herself will fatally undermine her brand. Swift is never papped looking anything other than well groomed; she never says anything that deviates from the party line. All of this means that in an age when pop is ludicrously sexualised, she consistently exudes a wholesome stylishness that appeals across the ages. This constant, if carefully controlled, interaction with ‘normal people’, and Taylor’s apparent willingness to share every life detail, have given her something slightly unexpected: an air of authenticity and approachability. For people in the public eye, any sense of a lack of authenticity can be crippling: just ask Ed Miliband. Swift is at the other end of the spectrum: fans believe that she is like them, going through the same things that they do. For someone whose ‘besties’ are seemingly supermodels and pop princesses, this is the fruit of careful work. Of course the product – the music – has to be good. PR can only take you so far. Swift’s latest offering has garnered critical acclaim. But it is the work she has put into her image and amplifying her coverage that is key. Without it she would be Colbie Caillat. So all of us in comms should salute her: Swift is currently one of the best PRs around.